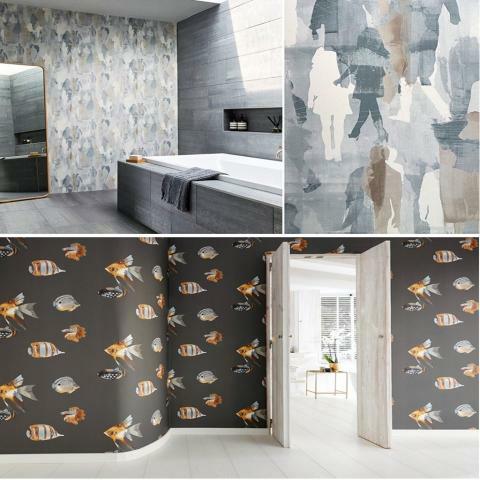 US-based company Wallpaper Delivered has launched an online service to deliver high quality, stylish, designer wallpaper right to their customers’ doors. US-based company Wallpaper Delivered has launched an online service that delivers high quality, designer wallpaper directly to customers’ doors. The company aims to offer a large selection of wallpaper styles to suit anyone’s décor taste, and to alleviate the hassle of having to go out to the store to find it. Wallpaper can add an element of style and elegance to any home, and no matter the type of vibe customers want for their rooms, Wallpaper Delivered will have it. The company stocks a huge variety of styles including popular themes such as scenic, floral and geometric patterns. For people who are looking for scenic patterns, there are various beautiful options available including birds, trees and woodland, fruit and garden, fish and underwater scenes, animal scenes and more. The geometric theme is currently in vogue and the website stocks numerous styles congruent with the popular trend. Geometric styles are available in many different color options and can add a modern flare to any space. Floral styles have been popular for many years due to their classic, elegant appearance. The online store stocks floral patterns to suit any style, including bright and colorful floral garden scenes to more muted, classy patterns. The company was founded out of a mutual passion for beautiful wall art decoration, and the husband and wife owners and operators strive to provide their customers with the best available patterns and styles, conveniently delivered right to their door. Wallpaper Delivered work with all of the most popular wallpaper suppliers including brands and collections like Amazilla, Anthozoa, Art of the Garden, Caledonia, Chiswick Grove, Cole & Son, Contemporary Restyled, Entity, Folie, Fornasetti II, Harlequin, Historic Royal Palaces, Icons, Marquisette Wallpaper, Melinki, Momentum 3, Potting Room, Sanderson, Sion, Shanghai Garden Wallpaper, Spirit & Soul, The Edit, Wabi Sabi and Woodland Walk. The company offers free shipping on orders over $250 and can ship anywhere in the US. Customers outside of the US are urged to get in touch and the team will see what they can do to accommodate their wallpaper needs. Interested parties can find more information at the link above.